Can 'El Nino' storm to Euro top scorer at 20/1? Home » Football » Internationals » Euro 2012 » Can ‘El Nino’ storm to Euro top scorer at 20/1? Can ‘El Nino’ storm to Euro top scorer at 20/1? I’m not sure who I’ve upset down at bwin towers but I must have rubbed someone up the wrong way to be assigned an article suggesting Fernando Torres as Euro 2012 top scorer. The Chelsea ‘striker’ looks like a man carrying the millstone of a £50 million price tag around his neck and a poor return of just twelve strikes in 64 games for the Londoners has done little to ease the burden. There have been brief flirtations with former glories but that has been the exception rather than the rule and Torres’ lack of goals is highlighted by the Shed End’s insistence on reeling off how many assists he’s got and how many times he’s hit the woodwork. However, if Chelsea reckon they’ve been dealt a busted flush, El Nino’s return for the Spanish national side makes even worse reading. As I continually reassure myself, beauty is only a light switch away and if Torres can get a goal under his belt in one of Spain’s two warm-up games or early in the tournament, he may go on to illuminate Euro 2012. Torres has scored just ten times in the four years since his goal against Germany won la Roja Euro 2008. He’s only netted once in his last seventeen international appearances and such is the paucity of that return, the darling of Vienna isn’t even guaranteed a slot in Vicente del Bosque’s 23 man squad. With David Villa set to miss out, only Fernando Llorente is assured of one of the striking berths and Del Bosque must decide whether or not to turn a blind eye to form and optimistically persist with the bloke that once upon a time terrorised defences across the continent. But despite overwhelming evidence to the contrary Torres could end up being a fairly astute pick. The last time he was in the company of his compatriots, half of them were spreadeagled on the Camp Nou baize after he rounded Victor Valdes to put Chelsea into the Champions League final – and that bravado could put a spring into his step after another season of travails at Stamford Bridge. The other thing to factor in is the players he’s playing with. He’s had to make a silk purse from a sow’s ear in Blue, but with with Xavi, David Silva and Andres Iniesta tika-takking about he’s likely to receive something resembling service. As I continually reassure myself, beauty is only a light switch away and if Torres can get a goal under his belt in one of Spain’s two warm-up games or early in the tournament, he may go on to illuminate another European Championship. The Spanish are likely to get some miles under their belt at this tournament and history suggests the top scorers usually end up with four or five goals. Stranger things have happened and at 20/1 in bwin’s top goalscorer football betting market, El Nino to blow the bookies away isn’t the worse shout in the world. 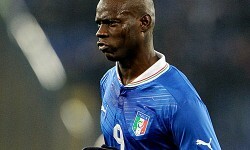 Can Ronaldo top the Euro 2012 scoring charts after Pichichi blow?